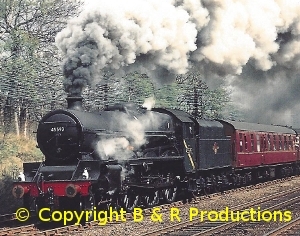 A film of the steam railway around the Southern Region taken by enthusiast TERRY NICHOLLS from 1964 to 1967. Journey down to Plymouth to traverse the Withered Arm via BERE ALSTON and the CALLINGTON branch, TAVISTOCK to OKEHAMPTON and BUDE. A railtour along the WENFORDBRIDGE branch with 0-6-0 PT 1369 in 1964 is followed by the Exmoor Ranger Tour from EXETER to OKEHAMPTON, HALWILL TORRINGTON, BARNSTAPLE and ILFRACOMBE. 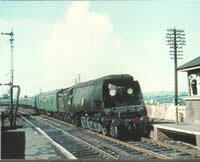 A 1964 Summer Saturday at EXETER CENTRAL is alive with Bulleid pacifics. Eastwards via Salisbury to BASINGSTOKE for a 1965 Summer Saturday when Inter-Regionals were still hauled by Halls and Black 5’s. Further down the line, time is spent at SHAWFORD for similar traffic. Over to the Isle of Wight visiting RYDE, NEWPORT and VENTNOR. Finally WEYMOUTH and Bincombe bank, before travelling via BOURNEMOUTH to end at SOUTHAMPTON.